This Latin term is derived from the legal maxim in the interpretation of laws, both in domestic and international law: ‘lex specialis derogat legi generali’. This essentially means that more specific rules will prevail over more general rules. The term is frequently used in describing the relationship between international humanitarian law and international human rights law. The precise nature of the relationship, and of the application of the lex specialis principle, is still the subject of some debate, particularly when it comes to issues of targeting and detention in non-international armed conflicts. 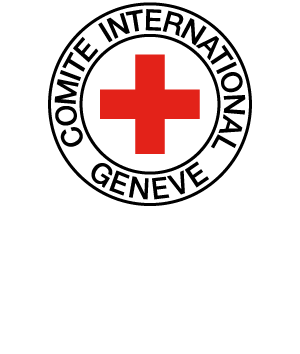 In the ICRC’s view, IHL constitutes the lex specialis governing the assessment of the lawfulness of the use of force against lawful targets in international armed conflicts. The interplay of IHL rules and international human rights standards on the use of force is less clear in NIAC, and the use of lethal force by States in NIAC requires a fact -specific analysis of the interplay between the relevant rules. CHEVALIER-WATTS Juliet, “Has Human Rights Law Become Lex Specialis for the European Court of Human Rights in Right to Life Cases Arising from Internal Armed Conflicts?”, in The International Journal of Human Rights, Vol. 14, No. 4, pp. 584-602. DROEGE Cordula, “The Interplay between International Humanitarian law and International Human Rights Law in Situation of Armed Conflict”, in Israel Law Review, Vol. 40, No. 2, pp. 310-355, 2007. DROEGE Cordula, “Elective Affinities? : Human Rights and Humanitarian Law”, in IRRC, Vol. 90, No. 871, September 2008, pp. 501-548.
en l’honneur du Professeur Giorgio Malinverni, Zürich, Schulthess, 2007, pp. 375-395. SASSÒLI Marco, “The International Legal Framework for Stability Operations: When May International Forces Attack or Detain Someone in Afghanistan?”, in IYHR, Vol. 39, 2009, pp. 177-212. SHANY Yuval, “Human Rights and Humanitarian Law as Competing Legal Paradigms for Fighting Terror”, in Hebrew UniversityInternational Law Research Paper, No. 23-09, 2009, 27 pp. DOSWALD-BECK Louise, “The Right to Life in Armed Conflict: Does International Humanitarian Law Provide all the Answers?”, in IRRC, Vol. 88, No. 864, December 2006, pp. 881-904. FLECK Dieter, “Law Enforcement and the Conduct of Hostilities: Two Supplementing or Mutually Excluding Legal Paradigms?”, in Frieden in Freiheit = Peace in Liberty = Paix en liberté: Festschrift für Michael Bothe zum 70 Geburtstag, Baden-Baden, Nomos; Zürich, Dike, 2008, pp. 391-407. GUELLALI Amna, “Lex specialis, droit international humanitaire et droits de l’homme : leur interaction dans les nouveaux conflits armés”, in RGDIP, T. 111/2007/3, pp. 539-574. MARSH Jeremy J., “Rule 99 of the Customary International Humanitarian Law Study and the Relationship between the Law of Armed Conflict and International Human Rights Law”, in The Army Lawyer, May 2009, pp. 18-22. Conflict”, in IRRC, Vol. 89, No. 867, September 2007, pp. 655-690.